These are some of the most frequently asked questions on the server. If the answer to your question is not here, you can always ask another player or leave a message on the forums. Q: Why is the server called "1.5"? A: The name of the server comes from the fact that it began as a blend of aspects of both Lineage and Lineage II. Over time, this has resulted in a completely customized game experience. Q: Who are the GMs? A: The only active GM on the server is Zajako. If anyone says they are a GM and asks you for items and/or personal information, report them to Zajako right away. Q: Can Zajako make me a +0 Orc Dagger? A: Absolutely not! Items will NEVER be given out to players unless there are special circumstances involved (event, fixing problem with the server, etc.). Do NOT ask. 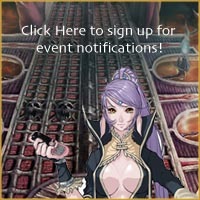 Q: Can we have an event? A: Events are turned on at the personal discretion of Zajako. Asking him to turn on an event will only DECREASE the likelihood that it will happen. He is aware that everyone wants events all the time, so asking just gets annoying. Q: Ok, fine, no event. Can we at least get some GM buffs? A: Same as above, do not ask for buffs from the GM. Q: What's so special about this server? A: Lots of things! Too many to list here. Read the General Guide to see information on most of the custom stuff that's been added. Q: I was going to trade with someone, but then they said they wanted "GC" What is this? A: That player is asking for Gift Coins. Some players like to use Gift Coins as currency to trade expensive items. You can get Gift Coins either by trading with players or by donating to the server. Q: Where should I hunt? A: That depends on what level you are, what items you have, and what you need from hunting. There is no single "best area" for hunting. There are many custom zones, and each has different requirements and rewards. Read the General Guide to find a place appropriate for your level and gear. Q: I got scammed, found a bug, saw someone exploiting! What should I do?! A: First of all, stay calm. Contact Zajako through the Support Ticket tool and notify him with as many details you can think of. Screenshots of the offending action are helpful! If you think other players might be affected, let them know as well. The faster you act, the better chance there is that the problem can be fixed easily. Q: I LOVE THIS SERVER! What can I do to help? A: We are glad you enjoy this server! There are many ways you can help make it a bigger and better server. Some examples of this are donating, telling your friends, posting about us on other sites, posting on Twitter, following us on Twitter, posting about us on Facebook, liking us on Facebook, and just spreading the word. If you are having trouble getting connected or experiencing other problems in-game, some of these answers may help. Q: When I try to run the game, I get a pop up with a "3e5" error. A: You might have forgotten to follow the 64 Bit connection step on the Connect Guide. Download the zip folder, follow the instructions, and try to connect again. Q: When I try to start the game, I get a message saying "RunTime expired - reinstall Lineage". A: Your computer's date must be reset. This is due to the expiration date on the client. Roll it back to a date before November 2010, and run the game again. Q: The game crashes with no error message when I try to run it. A: Your language pack is probably set to something other than English. Make sure your display language in your computer Control Panel is set to English. Q: When I try to log in, it says "Cannot connect to the server - Try again later". A: You probably connected to the live server and receieved incompatible files. DO NOT use your 1.5 file to connect to the live server at ANY time. If you recieve this error, you will have to do a complete un-install and re-install from scratch. Make sure to follow the guide correctly and uncheck the "Run Lineage" box. Q: I tried everything, but I still can't connect! 1. Did you follow the connection guide EXACTLY as it is written? Remember that skipping even a SINGLE step can block you from connecting to the server. 2. Did you update your L1 files to play on live or another server? This server is running custom files, and therefore is not compatible with any other server�s files. 3. The server might be going through a restart. Try to connect again after a minute or two. If you have done a complete un-install/re-install and you still are getting errors, please contact Zajako. Q: The server is lagging and I can't do anything! 1. Close any unnecessary programs you may be running that are using up your computer�s resources. Check your internet connection to see if it is running up to speed. 2. Type the -fix command if you are lagging in-game. This will refresh your location and will fix any �invisible� monsters or NPCs and re-synch your character to the server. 3. Try restarting your client. Completely exit the game and log back in. Q: I went to my favorite live server hunting spot and died instantly! A: Your favorite zone has probably been customized by Zajako. SKT Caves, Ivory Tower, and Tower of Insolence are exmaples of zones that have been modified and are much harder than on other servers. Level up a bit and get some better gear before trying to hunt the custom zones. Q: I can't use an item in the game! A: Many custom items have class restrictions and level requirements ranging from 40 to 100. A message will appear in the chat box if you cannot use an item because of your level or class. Q: I voted, but I'm not getting any Ancient Adena. A: Sorry, but this is a problem with your browser, not the site. Try a different browser, or delete your cookies and cache and try again.